Over a weekend I had a chance to attend a one of its kind event. 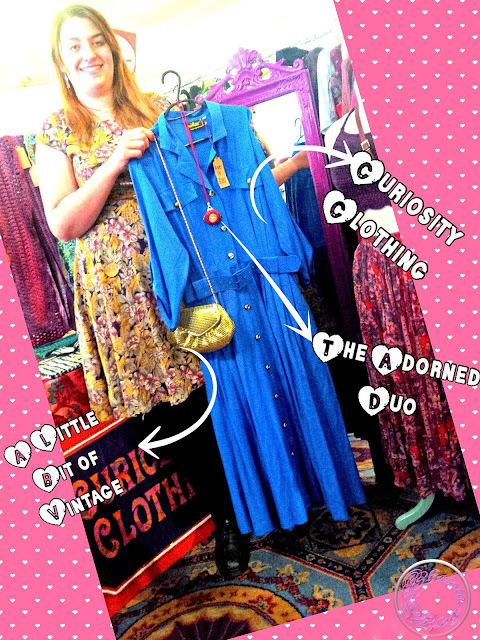 I went to Lou Lou’s vintage fair. I have never been to any vintage fair before, so I was not sure what to expect. I was a bit nervous and sceptical as well. But let me tell you that it was an awesome experience. I personally dig anything vintage with careful detailing which convert an ordinary item into very royal so this event was a must to attend. The event was held in The Grand Hotel Leicester which I believe was an ideal location as it is an old Victorian building transformed into very modern and state of the art hotel. Yet it is holding its distinct Victorian era features. 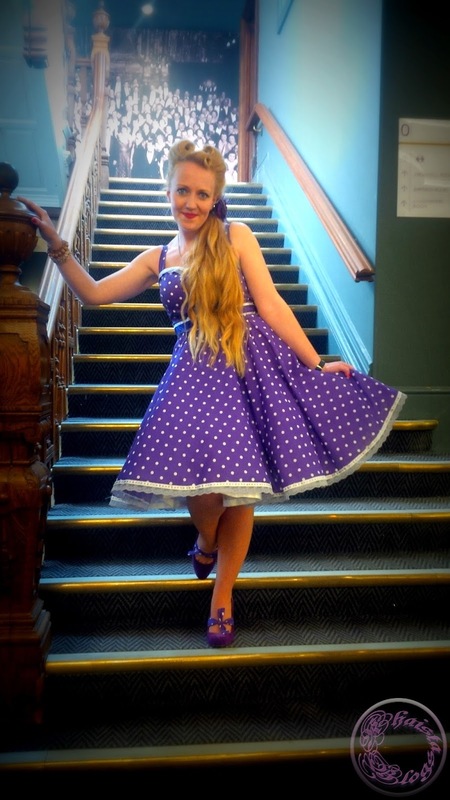 Upon the arrival I was greeted by a very beautiful lady at the entrance, dressed in vintage inspired purple dress with white polka dots. She was looking fabulous and I instantly thought “I am gonna have a great fun”. If you are wondering, her dress was from Bow Bells Boutique. 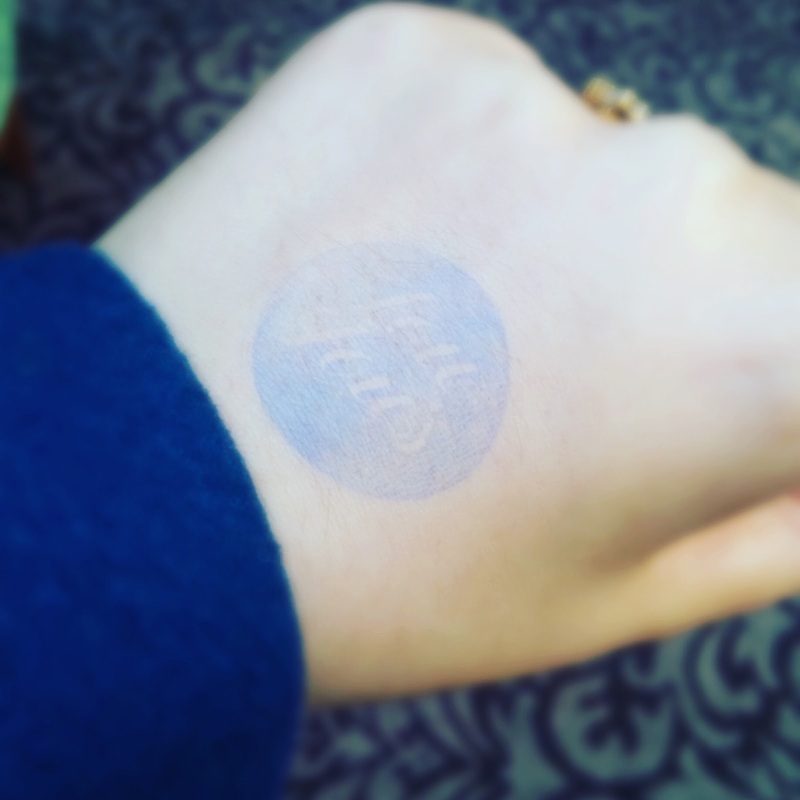 After that I got my entry pass which was a stamp on my hand… Real classy. 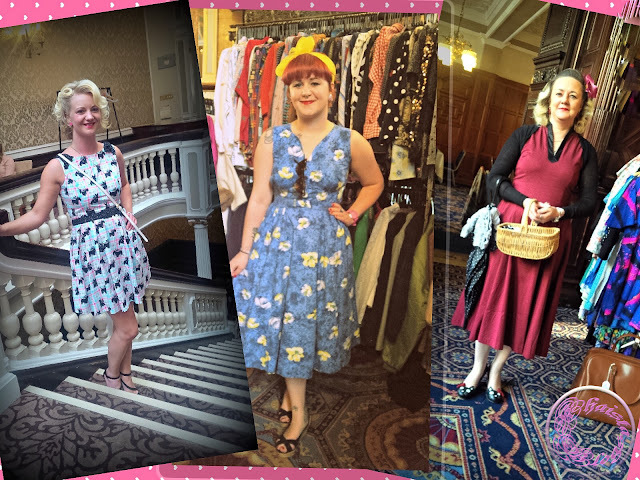 The halls were packed with stalls of everything vintage. It was a heaven for vintage soul. There was a vast array of fashion, accessories and homeware. 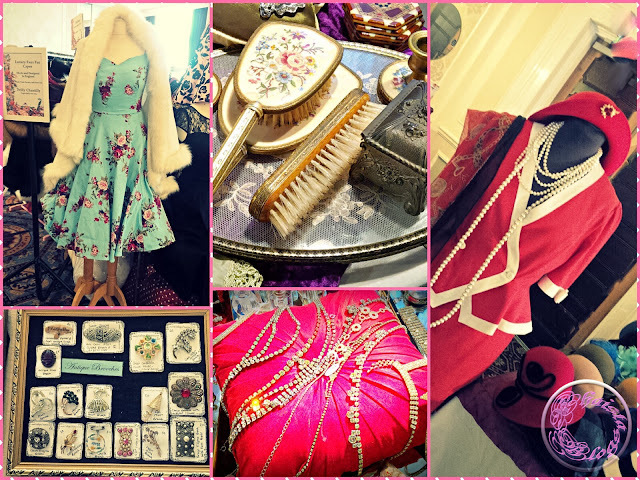 From vintage tea sets to collectable pieces of vintage handbags, handmade vintage jewellery and stylish home décor, you name it and it was there with full vintage glory. The layout was neat and all the stalls were easily accessible. The independent traders were friendly and welcoming. Plus the prices were reasonable too. During the fair I met some gorgeous ladies who looked like they were slipped from the past into the future. 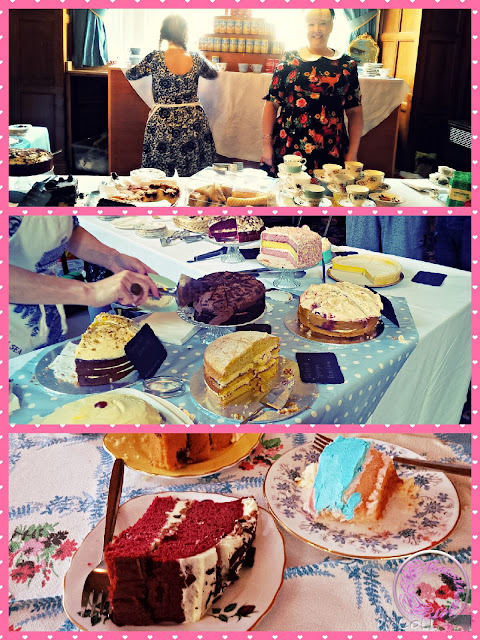 There was also a vintage inspired tea party for all the happy customers to go back in the time and enjoy the proper English tea with a piece of cake. The cakes were not only looking good and mouth-watering but were also the yummiest cakes ever. And that was not all. 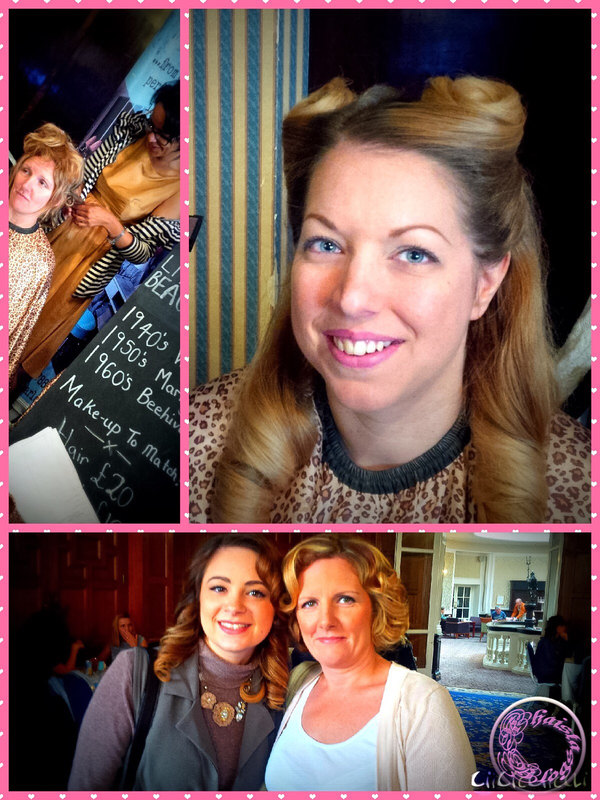 If the attenders wanted to transform themselves into any iconic figure or wanted to have a makeover, there was also a beauty salon to pamper the happy customers. As a blogger I also got a challenge to create an outfit under £30. Therefore I picked a theme and decided to create an outfit for a girly day out. My choice was a front pocket blue dress with belt and golden buttons. To jazz up the outfit I accessorised it with handmade boho chic red pendent and vintage Susie Smith golden sequins bag from 1980’s which was also a collectable item. I was very happy when this outfit came together. This is definitely the one which I will want to wear for a day out. 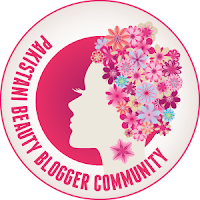 I had a great time attending the fair and also doing the blogger challenge. No wonder Lou Lou’s Vintage fair is the award winning fair in the UK. The fair takes place in different cities all year long. 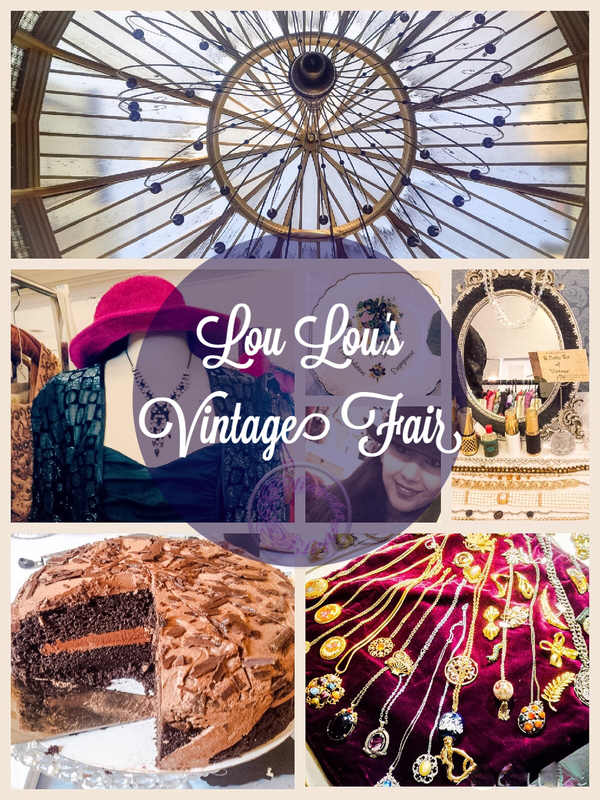 So keep checking Lou Lou’s vintage fair website for all the latest information. 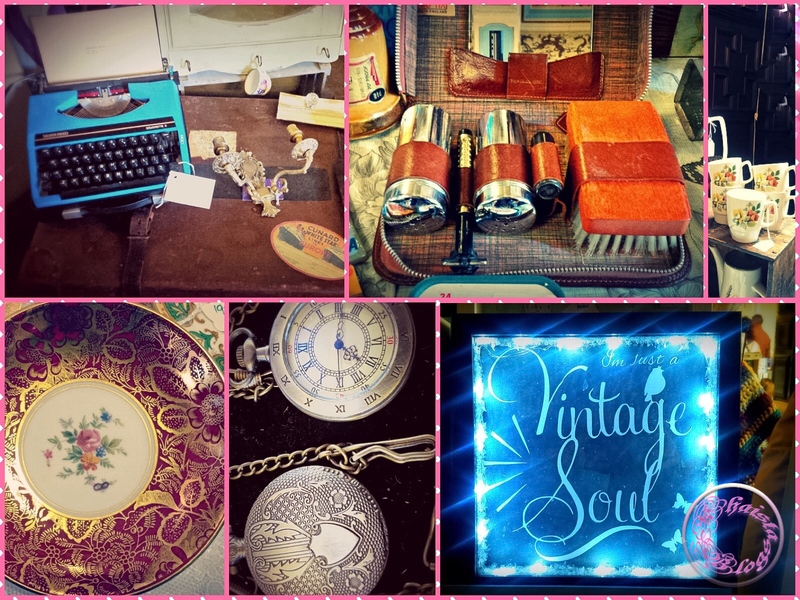 If you have never been to vintage fair, then you are missing out big time. Yes indeed. It was a fun packed event..
Yeah I wish too. It will be more amazing in Pakistan. Because there people love to keep things in families for generations. I LOVED the vintage dresses! !